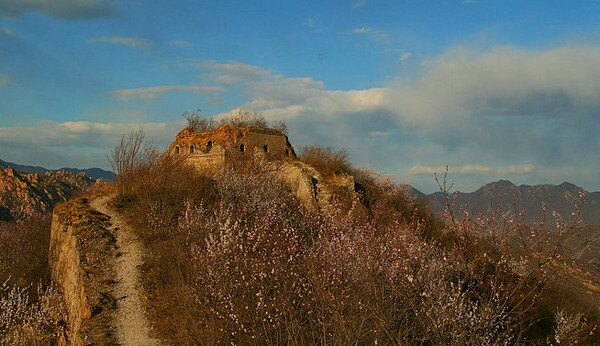 Hidden in the bush on top of the mountain range this wonderful stretch of great wall is an excellent opportunity to see wild and restored great wall on a nice 8km hike. At the end of this wild section of the great wall a restored flight of great wall staircases goes down to a picturesque valley. The last part of the hike we do some stone hopping alongside a shallow river till the end of the valley where our driver will pick us up again. Great Wall stretches are generally constant. 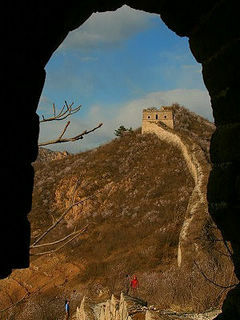 However, the Ming Tombs on the ridge east of Longquan valley, where there is a about five kilometers of the Great Wall. East and west ends are disconnected. Great Wall in the Ming Tombs Longquan valley 20 kilometers north of the hill. 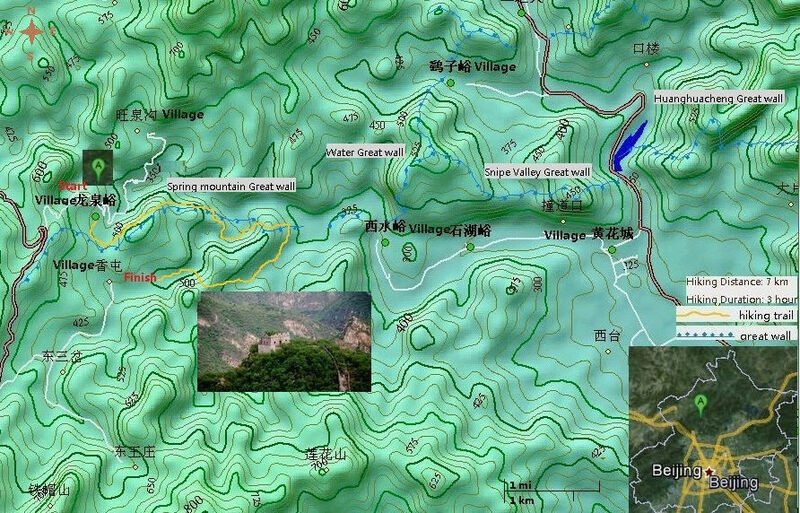 Longquan valley Great Wall it is the Ming Dynasty Great Wall in Beijing within the mainline. From east to west into the Great Wall in Huairou after not much broken. 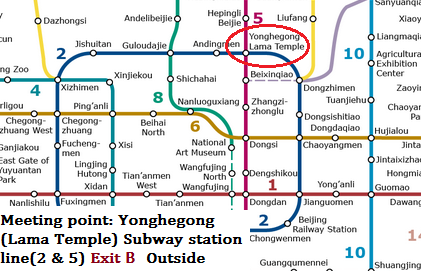 Then after the famous Mutianyu Great Wall , Jiankou Great Wall, Beijing knot Great Wall , Huanghuacheng Great Wall, West lake Great Wall then extending into the Yanqing Longquan valley. Longquan valley Grea Wall, the wall is locally produced large granite was constructed, some built in the huge granite, and rock seamless. Especially when the builders will also original granite cornerstone at the Great Wall shape, carving out Pattern, if you don”t look carefully, you can not be seen. Here is full suffered , magnificent scenery. The western section of the Great Wall east Baishuiyu, Huanghua, flat terrain, dense watchtowers. Spring Mountain Great Wall is the perfect example why we never get bored leading hikes on the Great Wall. There are many trail on this great wall fit for every season. Just 2 months ago we were hiking on top of this great wall and the surrounding where all yellow and dry. Now mid May everything is lush and green. The trees and low bush that overgrow this wild great wall are now hiding their thorns with white flowers and fresh green leaves. After a few hours hiking we arrived at a small stream. 1 month ago it was completely frozen. The little waterfalls were Ice sculptures and the and the river itself a fairy tale like ice road that we could walk upon for hours. Not on this hike any more though… now the water was flowing around the rocks and small fish and frogs where swiftly swimming around as doing a happy spring dance. The slippery ice road had disappeared and now we made our way up stream stone hoping and climbing. The Great Wall and it’s surrounding mountains, valleys and streams are always there but always different. I’m already looking forward to back in summer to see it changing again. On my way to Shanghai for business, I decided to go for a short visit to Beijing. 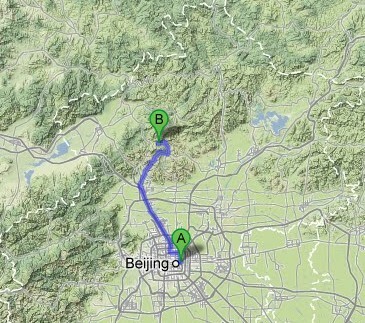 As I only had les than 2 days to spend, I contacted Heidi and Frederik for a Great Wall hike on Saturday. At 9.00 am they picked me for the hike. In total we were 7. We passed the most popular parts of the Great Wall where people were going up in big numbers. Some of them had a great view as they are mainly all watching the person in front of them. We continued for another 30 minutes and them started our hike. It was just amazing. We hardly saw anyone else and really got of the beaten track. We even found a part of the Wall that was missing. We had wonderfull views, good lunch and after all great fun. I managed it to be 6 hours on the Wall in my 1,5 days visit to Beijing. So time is no longer an excuse. Get in contact with Heidi and Frederik, they pick you up and the rest you have to do is enjoy and try to forget that you have to leave in a few more hours. We were met by Heidi and she had arranged everything for our trip from Beijing to a remote part of the Wall including a great lunch at a farmhouse at the Wall. We hiked for 5 hours along intact and some broken parts of the Wall without seeing a single other person! She was fun and informative and I would recommend her guiding to anyone wanting to hike in China.